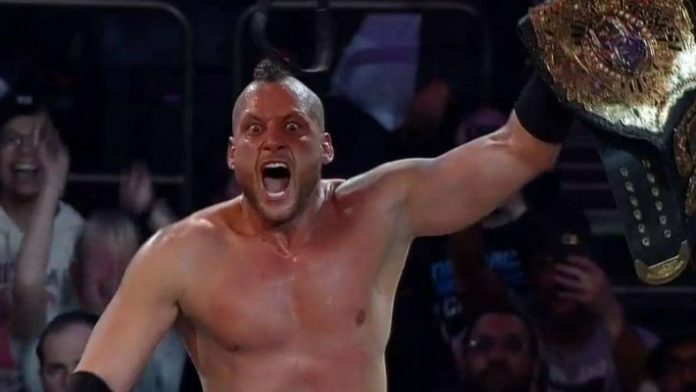 Matt Taven is the new ROH World Champion. He defeated both the former champion Jay Lethal and Marty Scurll in a ladder match tonight inside Madison Square Garden as part of ROH/NJPW G1 Supercard. Taven becomes an ROH Grand Slam champion, having won the ROH World, TV title, tag team, and 6-man titles. In the match’s final moment, Taven climbed a custom purple ladder. He then hit Jay Lethal with the title belt, causing him to crash through another ladder positioned below. Taven’s teammates in the Kingdom joined him in the ring to celebrate after the match.